It’s taken six years for Ona Coffee’s Matthew Lewin to declare himself the Australian Barista Champion, and now he can. 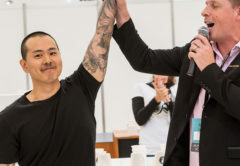 Two-time Australian Barista Champion Hugh Kelly of Ona Coffee placed second, and Anthony Douglas of Axil Coffee Roasters placed third in the prestigious event, which took place in front of a packed crowd at the Melbourne International Coffee Expo from 7 to 9 February. 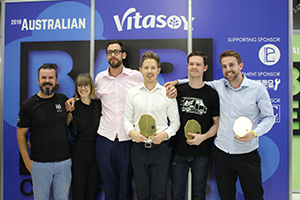 After competing in the Australian Specialty Coffee Association Vitasoy Australian Barista Championship finals for the past six years, the one trophy lacking from the Ona Coffee Barista Trainer’s cabinet was the big one, first place. “This is an incredible achievement for me. It doesn’t feel real. 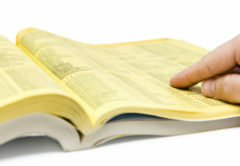 When Hugh Kelly’s name was called in second place, I was stunned,” Matthew says. Matthew’s finals presentation focused on two coffees from the Santa Barbara region of Honduras – Finca Beti (Ona Coffee Founder Sasa Sestic’s farm, named after his wife) and La Montañita. 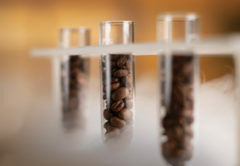 Matthew used these coffees to explore the ways in which specialty coffee can be shared with everyday coffee drinkers, and how to bring them into the ‘specialty bubble’. Regardless of experience – a coffee professional or first time drinker, Matthew’s routine highlighted the need to “create a world where we can all see the full value of all coffee’s the same way” and to “connect people with coffee in a more personal, considerate and curated way”. Matthew says placing fourth in last year’s finals was disappointing, but he picked himself up and went to compete in the Fushan Barista Cup in China, with a point to prove. “I won, which was incredible and very rewarding to own that moment. It gave me the confidence I needed to keep working hard and continue the year. Along the way I’ve had the most incredible support around me. I’m very, very grateful,” Matthew says. The Barista Championships focuses on promoting excellence in coffee and advancing the barista profession. Competitors must prepare prepare four espressos, four milk drinks, and four original signature drinks in a 15-minute performance. For his milk beverages, Matthew used a Pacas variety coffee from Finca Beti in Santa Barbara mountain range. 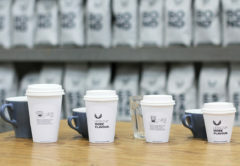 He described the beverage tasting notes as consisting of “65 per cent single origin dark chocolate, and raw fermented cacao nibs”, a result of natural processing. To balance the coffee Matthew used 75 grams of full cream Riverina Fresh milk. 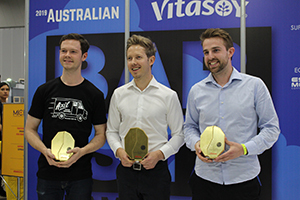 Top six Australian Barista finalist: Joao Carlos, Tilly Sproule, Angus Mackie, Matthew Lewin, Anthony Douglas, Hugh Kelly. For his signature round, Matthew bridged the gap between darker style flavours used in his milk beverage, and lighter fruit notes from his Pacas variety coffee from La Montanita farm. The extended growing time of 10 months on the trees is what produces the lighter flavours of the coffee, such as blood orange and ruby red grapefruit. The coffee underwent sugar browning in the roasting process, and as espresso, was paired with blackened chestnut syrup, blended with equal weight water and strained through muslin. To bring the light fruit notes out of his espresso, Matthew roasted coconuts at 150°C for three hours to create roasted coconut water. Nine millimetres was added to his espresso. For lightness in the cup, Matthew added coffee ice, made with a filter roast of Montanita coffee. The overall taste profile was plum, orange juice and subtle fresh apricot. Last served were Matthew’s espressos, using the Pacas coffee, semi-washed 20 days after de-pulping and drying on raised beds. On first sip, Matthew described the coffee as “medium weight, velvety mouthfeel, vibrant citrus, and medium to long finish”. On second sip he described the espresso tasting notes as “blood orange and red plum”. 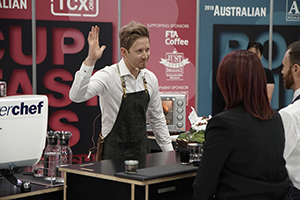 Matthew will now represent Australian in the World Barista Championships, taking place at the Specialty Coffee Expo in Boston, United States from 11 to 14 April. “I just hope I can bring it there. 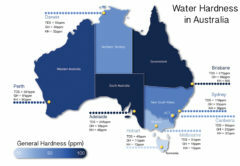 I know we have an amazing competition here in Australia, but it’s a big thing for someone to attend their first world competition,” Matthew says. 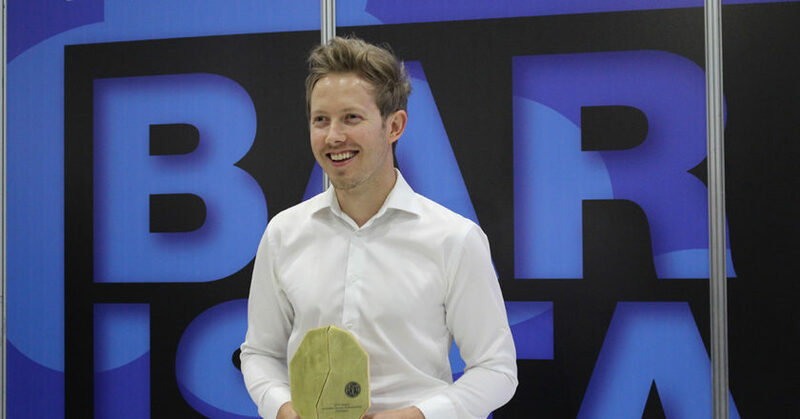 Ona Coffee Founder and 2015 World Barista Champion, Sasa Sestic was overwhelmed at the results.